Considering the use of a Land Contract for buying or selling property in the Greater Cincinnati, Ohio area? 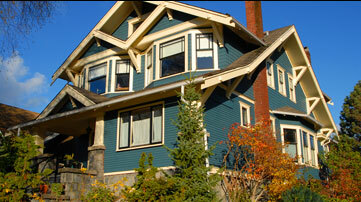 This post outlines the steps required to complete the seller-financed transaction. For the most part, setting up a Cincinnati Land Contract is similar to the requirements for any other part of the state of Ohio. State law is in force for the bulk of the legal and financial requirements, but certain documents and fees put forth by the Hamilton County Recorder should be considered as well. This decision should be weighed very carefully: the do-it-yourself option is inexpensive but it has no third-party oversight like a service does to ensure the contract terms are fair and that all of the financial requirements are met by both parties. Once the Buyer and Seller agree on how to handle the transaction operations, the next step is to create the Land Contract documents for the Real Estate Purchase Agreement and its financing terms. 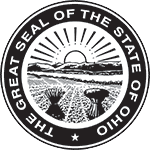 The State of Ohio has a series of general legal requirements for a Contract for Deed, all of which should be understood prior to creating the documents. The financial components must also be agreed upon by both parties so those payment and interest terms can be added to the paperwork. Soon after that signature, the Land Contract documents should be filed with the County Recorder where the property is located. In Cincinnati proper, this would be Hamilton County. But in the suburbs surrounding Greater Cincinnati, that could be the Recorder’s office in Butler County and Clinton County, too. Once all payments are made by the Buyer to the Seller, a revised Deed is created naming the Buyer as the new owner of the property. The parties should consider having this Deed transfer done through a title agent or title agency, to ensure proper timing and the conveyance of a clear deed. Greater Cincinnati residents who need more details on the Ohio Land Contract process should read through all of the articles posted on this website, as knowledge is critical to properly executing a seller-financed real estate transaction.